Are We Headed For Another Oil Shock? Admittedly, oil prices are volatile, but it’s possible to see a pattern in longer-term views. The worldwide supply glut from fracking in the 2014-2016 window (which decreased prices) has been taken up by increasing demand. Now we are at supply-limited pricing again, with fracking included. So if there’s any shock to supply, unless the Saudis open up the spigots (if they can), the price will spike up. I don’t sense wide awareness of this. 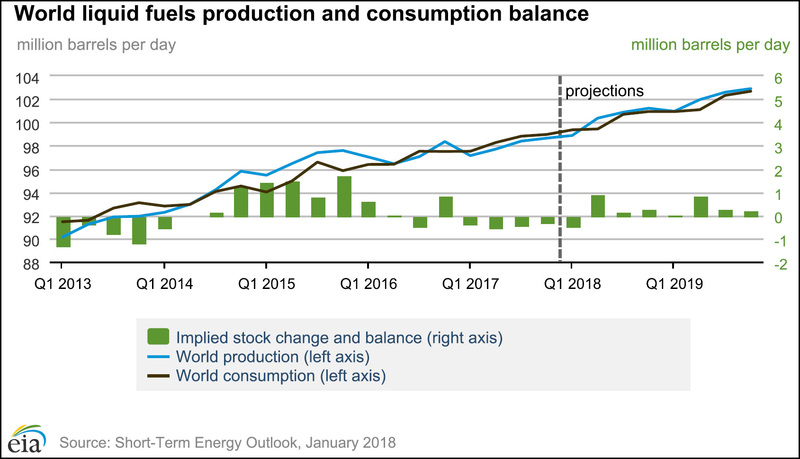 For the time being, it doesn’t look like oil will be a constraint on growth in the near future. But ask me again next month and I might change my mind.